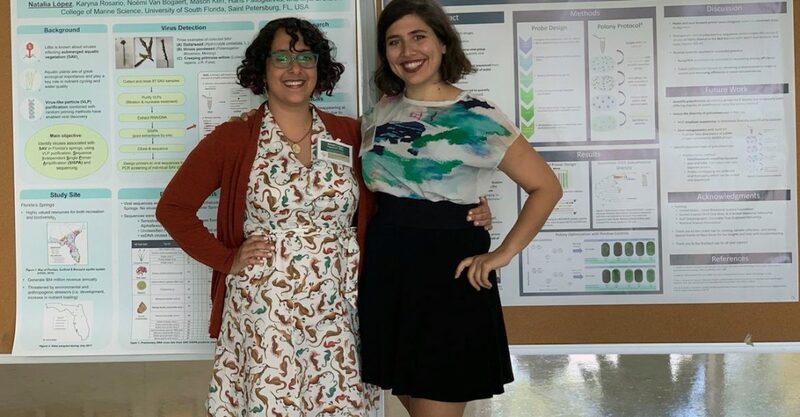 TAMPA, FL – USFCMS PhD students Natalia Lopez Figueroa and Natalie Sawaya won awards for their poster presentations on March 15, 2019 at the USF Genomics symposium. Natalia Lopez Figueroa and Natalie Sawaya are currently working on their research in the Breibart Lab. 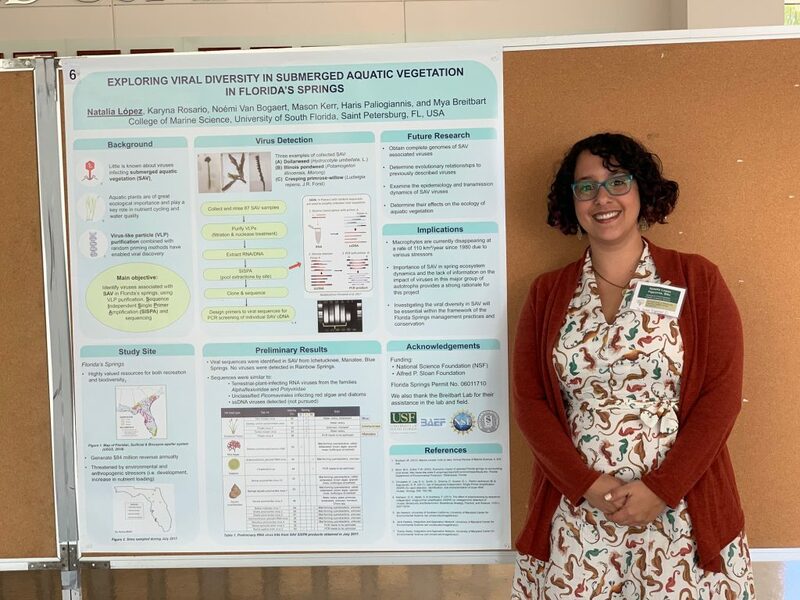 Natalia Lopez Figueroa with her poster “Exploring viral diversity in submerged aquatic vegetation in Florida’s springs”, at the USF Genomics symposium. 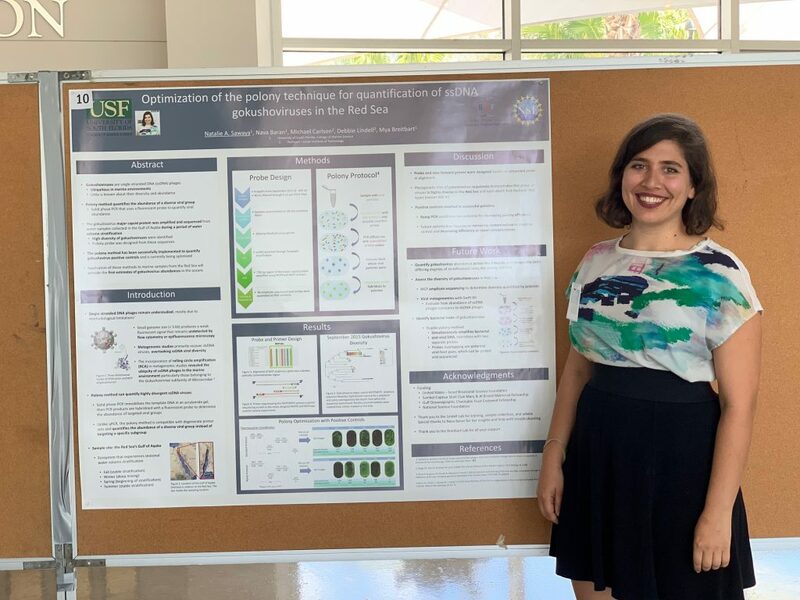 Natalie Sawaya with her poster “Optimization of the polony technique for quantification of ssDNA gokushoviruses in the Red Sea”, at the USF Genomics symposium.